So you want to know an easy way to bake a potato so it’s soft and tasty inside, with nice crispy brown skins on the outside? Cause, after all, the skins are the best part! Well, it’s quite simple and easy to do! 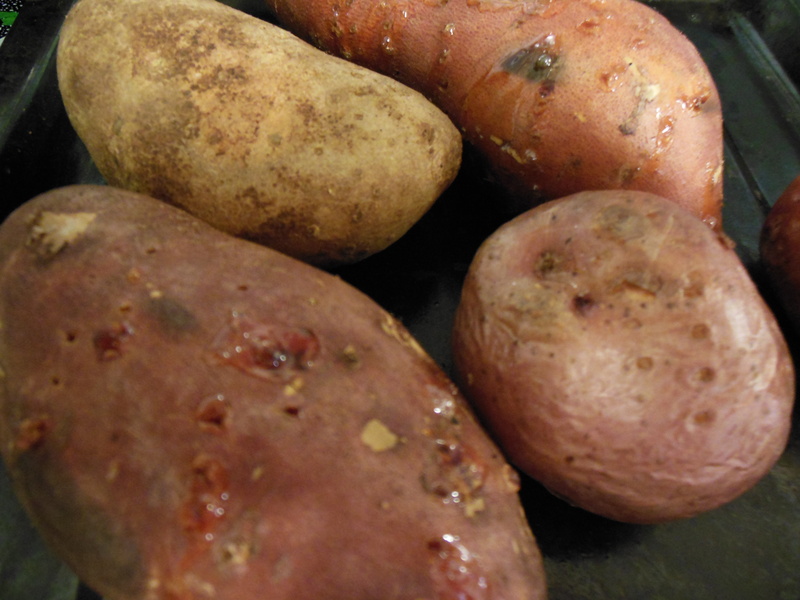 Baking potatoes takes from 1 to 1-1/2 hours in the oven. Microwaves speed it up (and sadly I’ve done this in a pinch) but that really destroys a lot of the nutrients and it destroys the crispy skin which is the best part! First, preheat your oven to 350 degrees. Next, take any kind of baking potato (make sure they are all about the same size as this makes it easier for you to monitor their “doneness”) and make sure they are clean. Be careful not to skin them by scrubbing too hard! Then take a regular eating fork and working your way around each potato carefully, stab it deeply into the flesh. Keep poking all around the potato. This will allow the steam to escape during cooking. Pat each potato dry with a paper towel. Next, take some olive oil or canola oil and very, very lightly coat each potato with oil by putting maybe ⅛ tsp into the palm of your hand and then rubbing each potato until you have rubbed them all over with oil (you will have to keep adding a bit more oil to your hands, but really don’t overdo, you are just “coating” each potato). Then very, very lightly salt each potato with either kosher or sea salt. When the oven is preheated, arrange the potatoes on a shelf in the middle of the oven and place a pan under the potatoes to catch any dripping during their cooking process. As I mentioned, the potatoes will take about 1 to 1-½ hours to bake depending on the number and size you cook. The skins will cook up nice and golden-brown and crispy and when a knife is inserted it should be very soft on the inside. So, there you go. 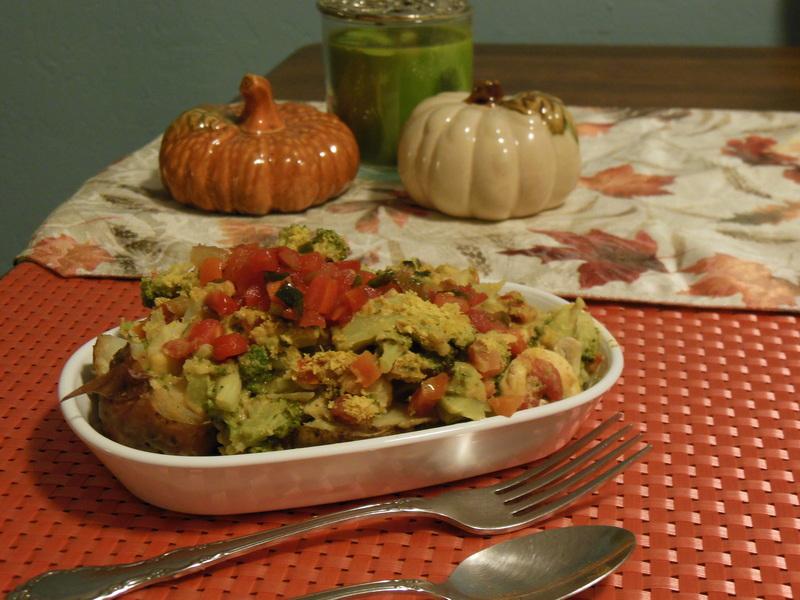 easy and delicious baked potatoes every time — and you can dress them up as you like! I’ve even used this trick on sweet potatoes. YUMMMM!